Some corporations spend millions of dollars on so-called "crisis communication plans." Others offer lip service, avoiding the subject like the plague. They simply hope for the best, praying that they never face a crisis. Either way, as Steve Adubato says, "Wishful thinking is no substitute for a strategic plan." Arranged in short chapters detailing each case individually, the book provides a brief history of the topics and answers the questions: Who got it right? Who got it wrong? What can the rest of us learn from them? Steve is a media expert, a street-smart guy with powerful insight that makes this book so relevant for our time. Heaven forbid you should find yourself or your company with a public relations crisis on your hands. But if you do, Steve Adubato has a wealth of common sense for how to weather the storm with a minimum of damage. 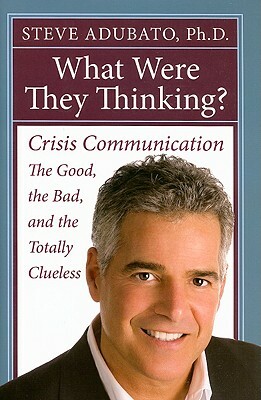 Steve Adubato is one of my favorites. He has a clear point of view and isn't afraid to share it, particularly when it comes to media issues and media coverage of important stories.